Crown Plastics’ line of DuraSurf™ UHMW-PE products are manufactured in continuous sheets and variable thicknesses, making them the perfect solution for a wide variety of material handling applications. And with the introduction of DuraSurf™ STS (Silicon Treated Surface), Crown was able to increase package flow in conveyance systems. high abrasion resistance, low coefficient of friction and unparalleled impact resistance, even in cryogenic environments. In material handling and fulfillment center operations, maintaining the proper constant flow rate of materials is critical. Applying DuraSurf™ STS UHWM-PE sheets to the inside of chutes and guide rails provides a very slick surface, allowing items to move smoothly through the system. UHMW-PE is abrasion resistant and very slick, with a low coefficient of friction. DuraSurf™ STS is even more so. The addition of silicone to the UHMW-PE resin blend helps maintain abrasion resistance while improving the already low coefficient of friction. Heavy products, which normally increase belt contact and slow the system, move more freely. Energy requirements are reduced because the plastic allows the conveyor belt to function efficiently. In addition, maintenance costs to repair/replace belts and motors and conveyor system downtime are greatly reduced. 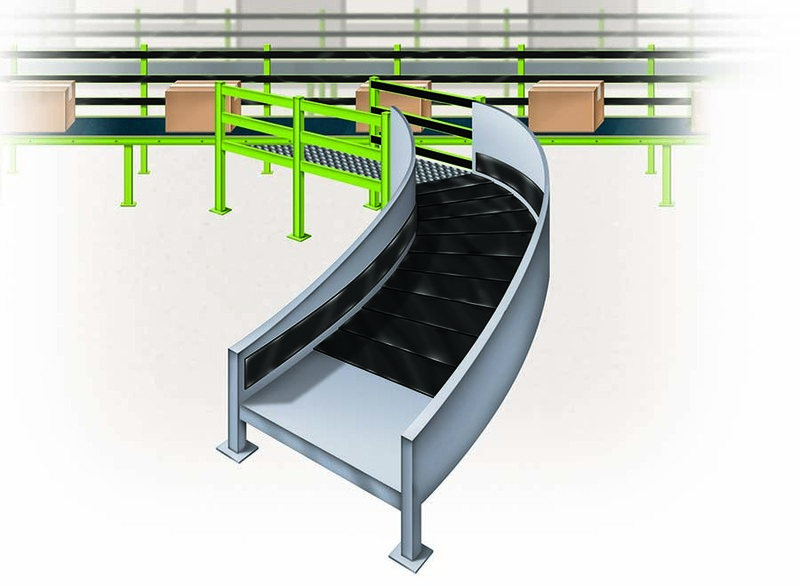 When applied to a slider bed conveyor, DuraSurf™ STS has been proven to reduce energy consumption from 15% to more than 30% while eliminating wear on the slider bed and extending the life of the belts and drives.